Hands down the best country in the world to store your gold is Singapore. 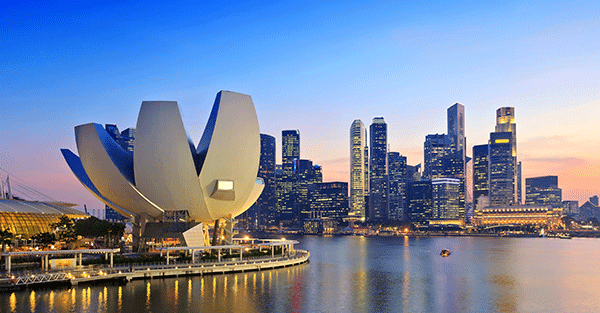 Singapore is rapidly becoming THE place to invest and do business in Asia. Everything is just so much easier there. Regulation is minimal, corruption is among the lowest in the world, and the tax structure is very friendly to businesses and investors. Prices for gold storage are incredibly competitive, and with recent legislation that eliminated import duties and taxes on investment-grade gold, premiums are dropping. Gold throughout Asia is still highly valued at a cultural level and not seen as some archaic monetary instrument like it is by many in the West. It’s quite common for people all across the region to store some of their savings in precious metals. Many people from countries like Vietnam, China, India, Malaysia, and Indonesia use storage facilities in Singapore.